In fact Canada Lyft drivers can make more money in Toronto. Moreover working as a Lyft driver is great way to earn some extra income. It doesn't matter either you are full time or part time Lyft driver. If you follow simple and basic tricks, you may able to earn decent amount. You must understand basics of rideshare services. Moreover beside driving there are many other points that you must consider in order to generate income. In fact Canada Lyft drivers can get additional income through Lyft Passenger Referral, Lyft Driver Referral Bonus, Lyft Prime Time, Lyft Streak Bonus, Lyft Power Zone, Tips, Drive Locally, Use Destination Mode and Become Uber Driver. If you want to take full advantage of Lyft platform, you should consider following things while you drive or besides driving. In Toronto GTA Lyft is offering Signup bonus, when you sign up with referral code. By using the referral code Canada Lyft drivers will get $500 bonus amount. Moreover new driver will also get $500 signup bonus. You can share your referral code on social media or blog. Furthermore in your family or among your friends. So if they sign up with driver referral code in Toronto GTA, Lyft will give you and them $500 bonus, when they will complete 100 trips in 45 days as a Lyft driver. If you are not Lyft Driver yet, Signup now & Secure you $500 Bonus. Learn how to create custom Lyft Driver Referral Bonus Code and ideas for promoting your code. Another way to generate income is to invite riders to join Lyft. You will get $10 passenger bonus for every new rider who will signup with your Lyft promo code. Previously it was $20 bonus per rider referral. Moreover new rider will get $20 credit, also later they will get $100 or $50 credit discount offer from Lyft. They can use credit amount for $5 off per ride. This offer attracts to riders, and no one refuse. However they must apply a Lyft code before requesting their first ride. Read how to share and maximize earning with your Lyft referral code. $20 signup bonus plus extra credit is available right away once you signup with below lyft's referral code. 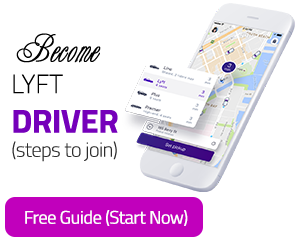 Besides driver referral and rider referral bonus, Lyft is offering many others types of ongoing promotions in Toronto; such as Lyft Guaranteed Earning, Lyft Power Zones, Streak bonus, Prime Time, Weekly ride Challenge and Weekly Guaranteed. Lyft Guaranteed promotion in Toronto is when Lyft offer +100% surges in Toronto from 8 am to 10 am. So your $20 trip will be 20+ 100%= $40. If the prime time is higher than the power zone you will always get higher rate. You will get notification or email from Lyft about promotions and power zones, you may also check in Lyft app Earning-Power Zones for upcoming or existing promotions. Lyft Weekly Ride Challenge is an offer to complete 20 or 30 trips to get $40 or $70 extra bonus. Weekly Guaranteed is when Lyft will make sure that you will make certain amount in no of rides. If now they will cover the difference. Lyft Streak Bonus is when you pick 3 or 4 rides in row, you will get extra bonus amount. Streak bonus range is from $9 to $24 . Tips is great options in Lyft app. Although it is an optional thing in Left app and its up to riders if they want to add it or not. But canada lyft drivers do get tips in Toronto. Moreover some riders may give you $5 or $10 cash tip. But mostly they add it in the app. To get tips you give them some sort of great service, so riders will feel great customer service experience. It is not guaranteed that you will get tip after doing all these things. Another thing you can add in to your list is to drive in you area. If you stay close to your home, you will be home quick soon. So you can save gas, time and mileage. Although its not in your control to drive in any specific area. You may get long trip out of you town. In this scenario when you plan to drive for only few hours, you may not accept the long trip. Try to save as much gas/fuel, time and mileage on your car. In fact time and gas are main factors in earnings, gas cost is the main expense and time is important for your overall performance. Moreover low mileage on your car will bring down the maintenance cost. Therefore car's oil change interval will be long and your car will not demand extra maintenance. Moreover don't keep driving around for rides. In fact driving aimlessly around in attempt to get ride is not a advisable. Stay where you are, you may turn the engine off in order to save gas. As a Lyft driver use of Destination mode is great practice. When you feel tired or want to go home, then you can use destination mode. Moreover in destination more you will set your destination in the Lyft driver app and go online. Once you are online in destination mode, you will only get trips requests toward you destination or on the route of your destination. Remember: In Destination Mode You May have to Wait Long for Rides. In fact sometimes destination mode option helps driver a lot. For instance if you live in GTA and you are online for rides. But ultimatly you want to go downtown Toronto. As in downtown you will get lot rides. Therefore you may go into destination mode and put your destination. So instead of going away from downtown you will get closer to downtown Toronto. Moreover you must use Lyft destination mode option on your way back home. Once you think you are done for the day, go into destination mode and wait for ride. So you can get extra ride on your way back to home. Since in destination mode it might take sometime to get ride, therefore you must go into destination mode ahead of time. If its your lucky day you may get long trip all the way close to your destination. Mostly you will get small trips that will bring you closer to your destination. Besides Lyft, Uber is very famous and affordable ride option in Toronto GTA. You can drive with Lyft and Uber both in city of Toronto. Moreover you may get Uber signup bonus, become Uber driver in Toronto. Hence you will have flexibility and you will have two active drivers accounts. Furthermore with two driving options, first you will wait less for trips, secondly you can get the benefit of Uber Surge Pricing, Uber Current Promotions in Toronto, Uber Passenger Referral Bonus, Uber Driver Signup Bonus. To learn about Uber Toronto Tips for Uber Drivers Toronto and How you can Maximize Uber Earning in Toronto.